33C3 – Call for Angels! Our Camp and our Chaos Communication Congress would not be possible without the great work of our volunteers, called Angels. Your engagement as an Angel is the perfect opportunity to become a part of Congress and make it even more amazing for everyone involved. Apart from that, volunteering is a great chance to meet new people. What makes being an Angel so special, you may wonder? Let us answer this with another question: Are you able to run an event with thousands of visitors, creative minds, eager to discuss, explore and most of all: create? Join the Angels and find out! Doing so, you will join a community as old as the Congress itself. Since the very first Congress in 1984, everything is done by volunteers, later called ‘Angels’. In return, the Angels get some quiet space in the famous ‘Heaven’ including food and drink supply, a Hackcenter exclusively for Angels, and the good feeling of helping out and being part of the Congress experience. If you love crafting and do some construction work we would love if you show up for buildup. We want to plan the right amount of food and drinks for our build up Angels. Therefore it would be great if you signup right now under engelsystem.de and tell us when you arrive. We will use this to inform you of important dates and the setup schedule. In the near future you can also sign up for your favourite shifts, tasks, and times in the Engelsystem. Many of the tasks do not need any knowledge besides showing up on time but are nonetheless vital for the Congress. 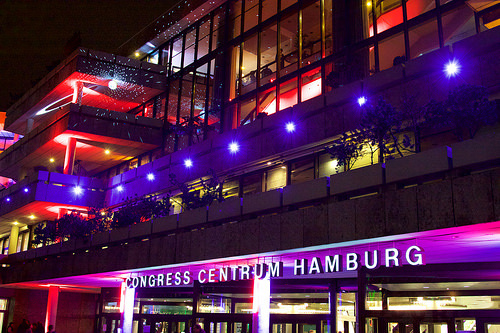 Other tasks may need an introduction with which you will be provided in time at the Congress. Please read the Angel wiki page for basic information. If you are not sure about the whole Angel-stuff or have any questions, just show up in Heaven and ask. Heaven will also announce tasks to be done and short notice tasks. For all new angels out there, there will be special introduction meetings for you the first few days of Congress, in addition to the daily general angel meetings. Das Camp und auch der Congress würden ohne die Hilfe unserer ehrenamtlichen Helfer, den Engeln, nicht möglich sein. Auf dem Congress zu “engeln” ist die perfekte Gelegenheit, die Veranstaltung mitzugestalten und neue Leute kennen zu lernen. Was macht das Engeln so besonders? Das lässt sich am besten mit einer Gegenfrage beantworten: Bist du bereit, ein Event mit tausenden von Besuchern, die entdecken, diskutieren, hacken und vor allem erschaffen wollen, am Laufen zu halten? Werde ein Engel und finde es heraus! Engel sind eine großartige Community, so alt wie der Congress. Seit dem ersten Chaos Communication Congress 1984 wird jede Veranstaltung von Freiwilligen organisiert und durchgeführt. Als kleines Dankeschön haben Engel Zutritt zu einem speziellen Rückzugsort, dem berühmten Himmel. Dort gibt es auch Getränke, etwas zu Essen, ein Hackcenter nur für Engel und das gute Gefühl, in einer coolen Gemeinschaft eine großartige Veranstaltung gewuppt zu haben. Wir brauchen tatkräftige Unterstützung. Du bist gerne gesehen, es gibt sehr viel zu tun. Wir wollen die richtige Menge Essen und Getränke für unsere Aufbau-Engel planen. Darum registriert euch bitte bald unter engelsystem.de und gebt an, wann ihr ankommt. Im Engelsystem findet ihr aktuelle Informationen und Zeitpläne für den Aufbau und die Veranstaltung. Ab demnächst könnt ihr euch auch für Schichten, Aufgaben und Zeiten im Engelsystem eintragen. Viele der Aufgaben erforden kein besonderes Wissen, nur pünktliches Erscheinen, aber sind dennoch wichtig für den Congress. Für andere Aufgaben gibt es eine Einführung, die ihr auf dem Congress vorher mitmachen könnt. Bitte lest die Engel-Wikiseite für grundlegende Informationen. Wenn du dir unsicher bist, oder Fragen zu den Engeln hast, und dich fragst, wie du ein Engel werden kannst, komme doch einfach in den Himmel. Wir erklären dir gerne, wie alles funktioniert. Weiterhin wird es tägliche Engel-Meetings geben auf denen die wichtigsten Sachen besprochen werden. Für Interessierte und Neu-Engel wird es auch in den ersten Tagen Einführungs-Meetings geben. Wann die Engelmeetings stattfinden, erfährst du im Himmel oder direkt im Engelsystem. Call for Interpreters: translate 33C3! If you are multilingual and fluent in German and English, please consider joining the translation team. We interpret ALL THE talks in the four main halls live. German talks are interpreted into English, and vice versa. Our work is transmitted via the internal phone network, streamed to the Internet, and recordings are published on CCC sites and YouTube. Also, this year we are expanding: for the two large halls (Saal 1 & 2) we have a second translations channel that will be broadcast in the same way. A commonly used phrase by software developers to indicate that the bug reported by a user is not repeatable on their machine, and will therefore receive no more attention. Usually connotes a dismissive approach, where anything that is not visible immediately to the developer is „someone else’s problem“ and is therefore not worth fixing. Like no other, the year 2016 pointed out how well „works for me“ works for us. It does not. Mutual hate, envy, insensibility and exclusion have driven us apart. Feeling isolated and threatened, we turn further against each other, take less care of each other and worry even more about ourselves. And yet, we are never alone: Excessive surveillance is now politically normalized, if not for all then at least for those who are different, intractable, foreign. Let’s break this vicious circle. Let’s get together and live our utopia. Let’s strive for something that works for all of us. And let’s fight those, who will not let us! Enter your Self-Organized Sessions and Lightning Talks! The Call-For-Participation to submit a talk for the main halls is long over – but congress wouldn’t be congress if there weren’t many more options to get on a stage to tell a crowd of curious listeners what you have to say! These fast paced sessions are perfect for pitching new software or hardware projects, exploits, creative pranks or strange ideas you need to get out to a global audience. Even if you don’t have an awesome idea or project to share, a Lightning Talk is perfect for pitching your Assembly, your workshop or even a longer talk you’ll give as a Self-Organized Session. Did you think that the thrill of sharing your ideas in front of a huge audience at a C3 was something you’d never experience? Do you work on a cool project and want to get the word out? Was your talk one of the hundreds that got rejected? Did you come up with an awesome hack that you need to share? Go ahead and enter your Lightning Talk now! Self-Organized Sessions used to be called “workshops”, but we changed the name to include everything – even if it’s not hands-on or about making things – as long as it’s done by you for all of us! It doesn’t matter whether you want to give an introduction to your favorite programming language or want to make new friends with similar interests, if you want to screen a movie or if you want to organize a follow-up from a presentation on the big stages: All you have to do is use the wiki to create a Self-Organized Session and choose a free space and time to get going! As usual both options come with the first-come-first-serve principle, please check the calender carefully to see what rooms and slots are still available. The wiki works for you! The Chaos Communication Congress lives off your participation and engagement. It is an event for the community by the community. In the long and colorful tradition of utter chaos, we foster decentralization and self-organization. In an attempt to offer some orientation and coordination, we keep a wiki. The wiki works for you (and everyone else, we hope!) to find information about congress, but its main purpose is enabling you to contribute and make congress work for everyone. The 33c3 Wiki is now online, you can enter Assemblies and share useful information. If you just want to have a look around for now, the FAQ page is a good entry point. Also, the startpage lists and links to lots of relevant info. We are trying to organize each C3-Conference as decentralized as possible, so this is one of the multiple bits where everyone can participate and contribute. Please go ahead, it’s a wiki! Please note that the deadline for submitting your Assembly is (as usual) the 1st of December at 23:59 CET. Assemblies – get prepared to contribute and share! Before we open the registration for Assemblies in the wiki, we want to let you know about some conceptual changes: Since 29C3 we’ve tried our very best to leave no Assembly behind and reserved space for (nearly) every group that applied. You all know the result: Each Assembly got less and less space each year for doing the things they’ve planned to do – even if that was just to hang out together. This year this is going to change. 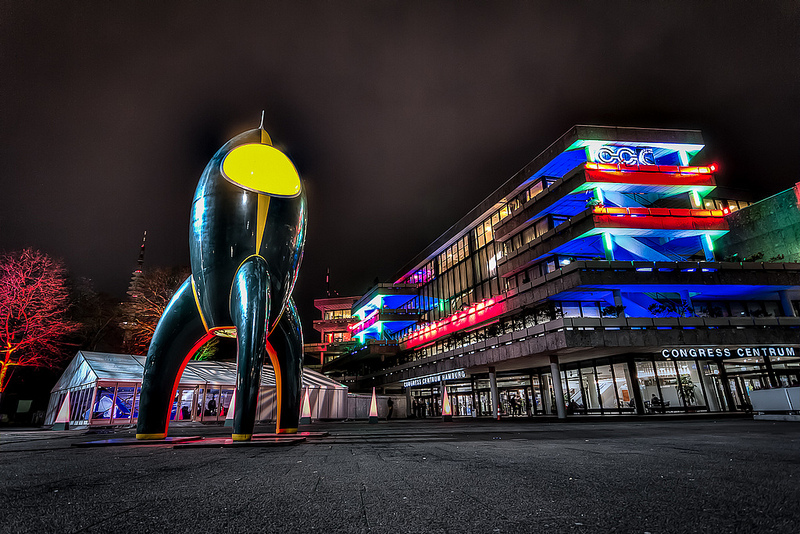 We will not allocate space for each individual Assembly, but rather allocate enough space for the ones actively adding value to our community on site – be it for 33C3 itself, or because of meeting and hacking together on site to create more helpful tools and knowledge to inure to the benefit of everyone! What is an Assembly all about? When we invented them in 2012 for 29C3 (as an experiment!) we wrote: “Bring your toys, work on projects, have fun and let others participate in what you’re doing!” We also stated that the possibility to participate is central for everything at your C3-conference and that we want you to share your knowledge. All of this still applies, and this year we want you to focus even more on the participation and sharing aspect, as well as on the contribution to something useful for everyone. So we kindly ask you to highlight this more in your application for a reserved space, too. You already learned about the ticket situation from the past blogposts: We are again running out of space. As the building is static, all of us need to adjust ourselves dynamically. That means we will only provide reserved space to some of the Assemblies applying, and leave it to you to share the rest of the space. By organizing yourselves in clusters you can help to decentralize further. Similarly for all the gear you’re bringing each year: It is amazing to see what one can do with all those tools, but if you need your soldering iron just twice during Congress – why not go down to the Hardware Hacking Area for doing so – and save space for everyone to spread and share? Instead of packing everything – think about what is unique or characteristic for your assembly. This makes your travel to 33C3 easier and everyone else will be able to understand what is important to you much faster. The Assembly team will allocate resources in a similar manner as the Content team: There we also have the curated talks in the halls, and lots of space for the self-organized-sessions. Please take your application for a reserved space as serious as you would an application to talk on one of the stages! We want to see more extraordinary things, we want to have a diverse and mixed collection of passionate people doing exciting stuff. Showing off tools is nice, but sharing what and how everyone can hack and develop with them is even more exciting! Of course not every Assembly needs to show off and share their work – we welcome quiet Assemblies that meet to work together on their projects just as much! To conclude: 42 3D-printers aren’t the answer to everything – but if you happen to have a thing that can beam us up, do not leave it at home! Der Chaos Communication Congress ist die jährliche Fachkonferenz und Hackerparty des Chaos Computer Clubs (CCC). An vier Tagen zwischen Weihnachten und Neujahr kommen tausende Hacker, Technikfreaks, Bastler, Künstler und Utopisten in Hamburg zusammen, um sich auszutauschen, voneinander zu lernen und miteinander zu feiern. Wir beschäftigen uns mit Themen rund um Informationstechnologie, Computersicherheit, der Make-Szene, dem kritisch-schöpferischen Umgang mit Technologie und deren Auswirkungen auf unsere Gesellschaft. Jenseits des Konferenzprogramms bietet der Chaos Communication Congress Raum für Community-Assemblies, Entwickler- und Projektgruppentreffen, Installationen, Lightning Talks sowie zahlreiche Workshops. Wir bitten in diesem Track um Einreichungen, die sich mit den gesellschaftlichen, ethischen und politischen Fragen auseinandersetzen, die sich durch die Technisierung und Digitalisierung aller Lebensbereiche ergeben. Was wird die Zukunft bringen, welche kommerziellen und politischen Interessen stehen einer lebenswerten Utopie im Wege, wie können wir sie überwinden? Aktivistische, phantastische, solidarische und kommerzfreie Ideen und Konzepte sind hier gern gesehen. Im Track Hardware & Making dreht sich alles um den kreativen Umgang oder Entwicklung von Dingen, welche einen physikalischen Eindruck hinterlassen. Hier sind Einreichungen vom Reverse-Engineering-Hacker über den Microcontroller-Bastler bis zum Raketentechniker, Quantenphysiker und Kernschmelzer willkommen. Aufgeschliffene Smartcards, Platinen und Chips, reverse-engineerte Firmwares, aber auch der Cocktails-mixende 3D-Drucker und heimlich im Keller betriebene Nuklearreaktoren sind hier zu Hause. Der Fokus dieses Tracks liegt auf dem Design von Hardware jedweder Art, dem Erweitern bestehender sowie der Befreiung durch den Hersteller verschlossener proprietärer Systeme, schmutzigen Fingern – und natürlich Raketen! In diesem Track wünschen wir uns Einreichungen, die zeigen, wie man Software und Hardware sicherer oder unsicherer machen kann. Wenn Du bereit bist, den Spaß an Deinen Entdeckungen mit tausenden Security-Enthusiasten zu teilen, ist dies Dein Track. Wenn Du neue Lösungen für bisher ungelöste Probleme entwickelt hast, ist dies Dein Track. Wenn Du neue Probleme entdeckt hast, von denen wir gar nicht wussten, dass es sie gibt, ist dies Dein Track. Nicht nur unsere blinkenden Rechner verdanken wir der Wissenschaft – fast jeder Fortschritt in Gesellschaft und Technik kommt auf kleineren oder größeren Umwegen durch Forschung zustande. Egal ob an Forschungszentren, Universitäten oder in der Garage: Wir interessieren uns für Vorträge, die Entwicklungen von einem wissenschaftlichen Standpunkt erkunden und evaluieren, was sie bewirken können. Neben gesellschaftswissenschaftlichen Exkursen wie der Geschichte von Geheimdiensten oder der Erforschung alternativer Koexistenzformen und Wirtschaftssystemen interessieren uns auch drängende technische Probleme wie der steigende Energiebedarf der Menschheit, resistente Krankheitserreger oder der Zugang zu Trinkwasser. Die großen Fragen bleiben natürlich relevant: Sind wir allein im Universum? Wie funktioniert das Leben? Wie erkenne ich eine Endlosschleife? Bitte schicke uns eine sinnvolle und möglichst komplette Beschreibung Deines Vortragsvorschlages. Gerade die Beschreibung hat einen großen Einfluss auf die Auswahl und sollte deswegen sehr aussagekräftig sein. Qualität geht natürlich vor Quantität. Marketing- und Sales-Droiden verschwinden bekanntermaßen von dieser Veranstaltung, ohne eine Spur zu hinterlassen. Es ist also nicht sinnvoll, Firmen- oder Produktpropaganda überhaupt einzureichen. Da die Chance groß ist, dass mehrere Leute einen Talk zum gleichen oder ähnlichen Thema einreichen, zeige uns bitte ganz genau, warum ausgerechnet Dein Talk dabei sein sollte – denke daran, dass die Teams divers besetzt sind und nicht alle Kuratoren jeden Einreicher und deren Hintergrund kennen. Es kann hilfreich sein, bei der Einreichung etwas über Dich selbst, Dein Forschung oder Deine Motivation zu schreiben. Es ist uns vollkommen egal, ob der Talk schon einmal auf einer anderen Konferenz irgendwo auf dem Planeten stattgefunden hat. Wir bitten nur darum, dass der Talk aktuell ist. Darüber hinaus gibt es noch fünfminütige Kurzvorträge (sogenannte Lightning Talks) für kleine Ideen, Projekte oder Rants, die erst auf der Veranstaltung koordiniert werden. Eine Einreichung via frab ist nicht nötig, die Kurzvorträge werden wieder in einem Wiki organisiert. Eine formale Einreichung ist nicht nötig. Wir werden wieder ein Wiki haben, in dem wir den Bedarf an Platz und anderen Dingen sammeln werden. Fange einfach schon einmal an, darüber nachzudenken, was Du machen, mitbringen oder zeigen willst, bevor dieses Wiki online geht. Wir haben sehr viel Platz, und wir sind offen für Verrücktes und Überraschendes. Assemblies sind die Orte, an denen sich die verschiedenen thematischen und sozialen Communities zusammenfinden und die den Hauptteil des Congresses ausmachen. Sie sind mit den Villages auf unseren Camps zu vergleichen. Wir haben wieder sehr viel Platz, so dass auch größere Installationen möglich sind. Die Assemblies werden im öffentlichen Wiki organisiert. Da der Chaos Communication Congress eine internationale Konferenz ist, werden viele Inhalte auf Englisch präsentiert. Solltest Du Dich in Deinem Englisch aber nicht sicher fühlen, ist es kein Problem, den Vortrag auf Deutsch zu halten. Wir werden versuchen, so viele Talks wie möglich simultan zu übersetzen. Wenn Du Deinen Vortrag auf Deutsch halten willst, sollte auch Deine Einreichung auf Deutsch sein, um die Teilnehmer nicht zu verwirren. Die Audio- und Video-Aufnahmen der Vorträge werden online in verschiedenen Formaten veröffentlicht und unter die Creative-Commons-Lizenz, Namensnennung 4.0 (CC BY 4.0) gestellt. Für Medien erlaubt diese Lizenz die kommerzielle Nutzung von Ausschnitten im Rahmen ihrer Berichterstattung. Wenn keine Veröffentlichung oder kein Streaming für Deinen Vortrag stattfinden soll, teile uns dies bitte unmittelbar bei Deiner Einreichung mit. Der Chaos Communication Congress ist ein nicht-kommerzielles Event und weder die Macher noch die Vortragenden werden für ihre Teilnahme bezahlt. Als Vortragender bekommst Du allerdings freien Eintritt. Bei Bedarf ist es möglich, Unterstützung bei Fahrtkosten und Unterkunft zu beantragen. Benötigst Du Hilfe bei der Beantragung eines Visums, zum Beispiel in Form einer offiziellen Einladung zur Vorlage bei der Deutschen Botschaft, sage dem Content-Team bitte rechtzeitig Bescheid. Bitte denke daran, dass die Beantragung eines Visums bis zu sechs Wochen dauern kann. Bitte folge den Anweisungen, die sich dort finden. Wenn es Fragen bezüglich der Einreichung gibt, kannst Du uns unter der E-Mailadressse 33c3-content(at)cccv.de erreichen. Foto: CC-BY-NC-ND 2.0, Mark Tominski.